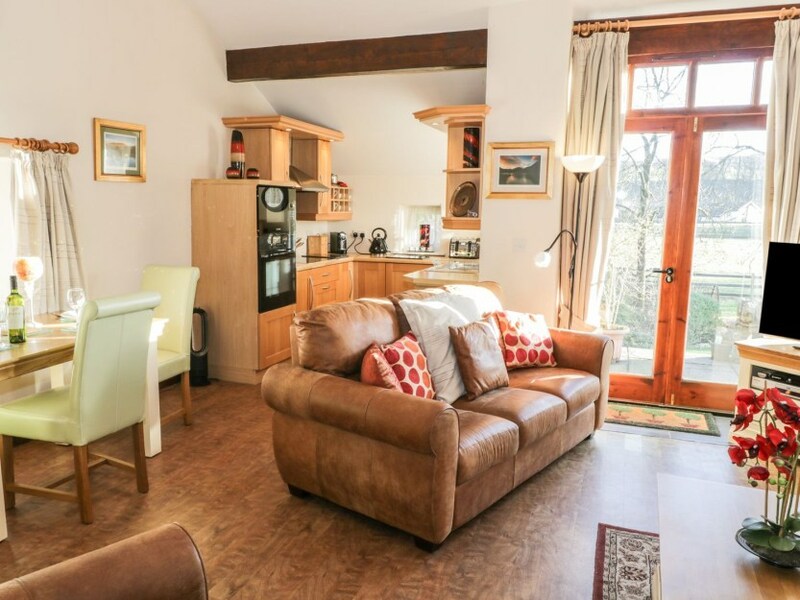 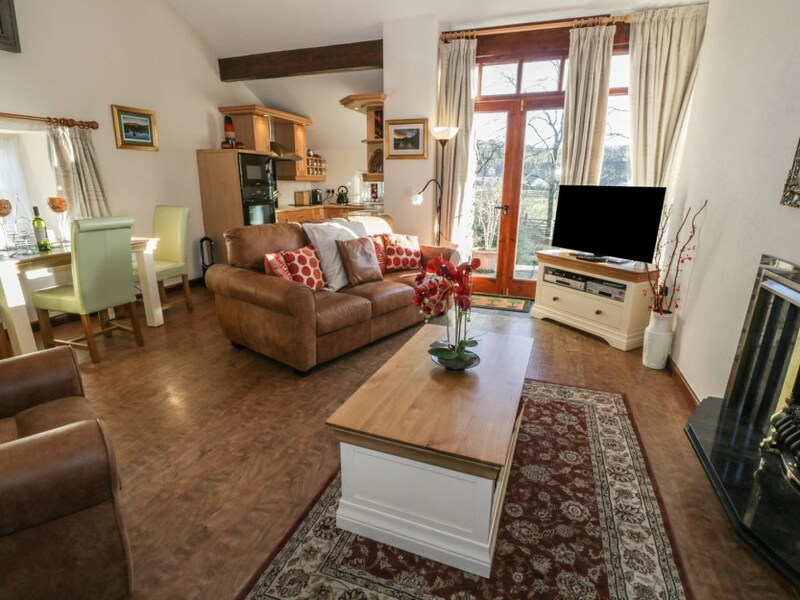 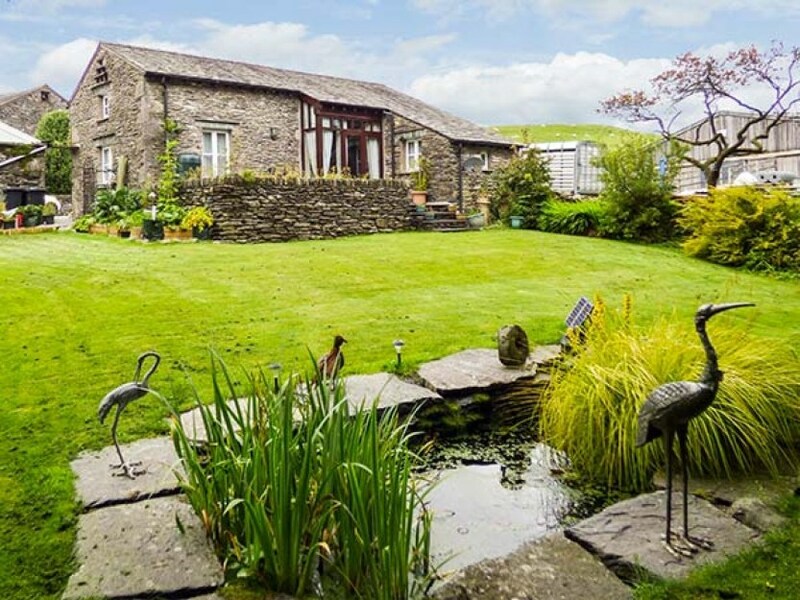 This super barn conversion provides luxury accommodation that’s perfect for two wishing to enjoy this fabulous corner of the Lake District. 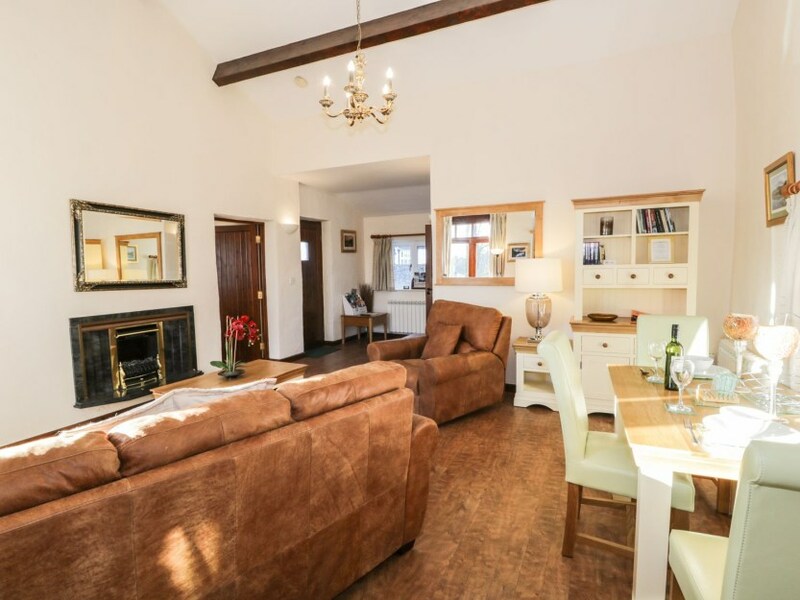 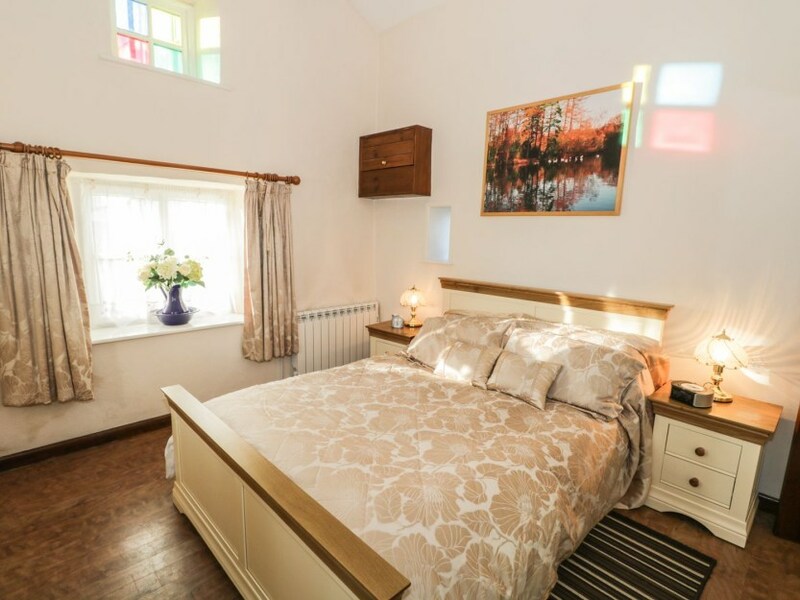 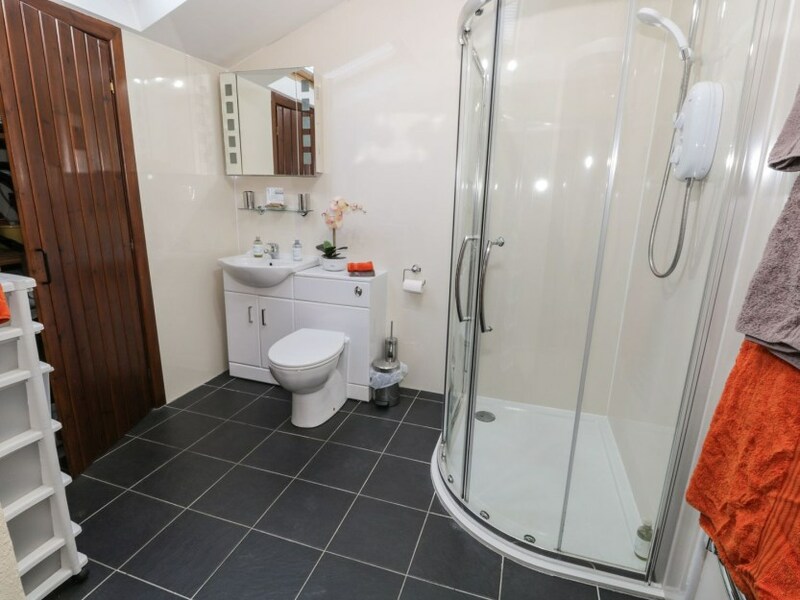 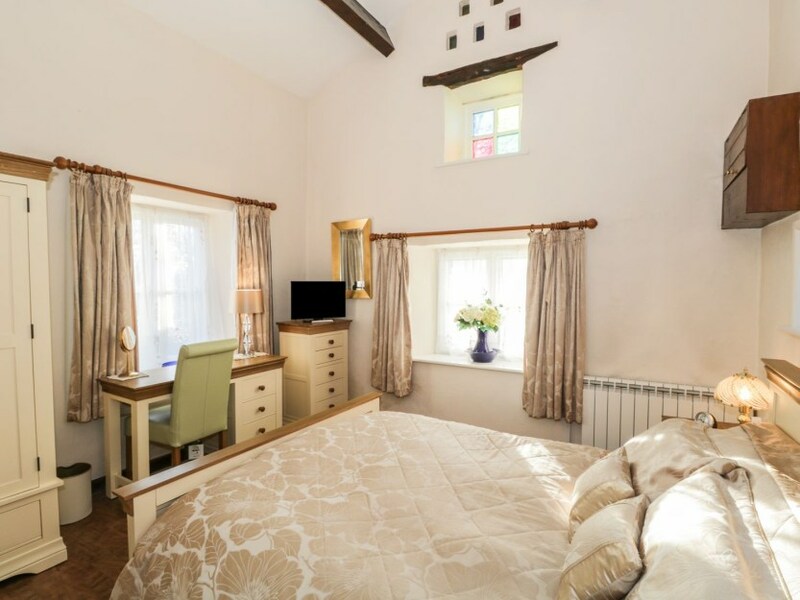 There is one king-size bedroom with a TV and an extremely spacious open plan living area with a high vaulted ceiling with feature oak beams and French windows, which open out on to a secluded patio overlooking the garden down to the River Gower. 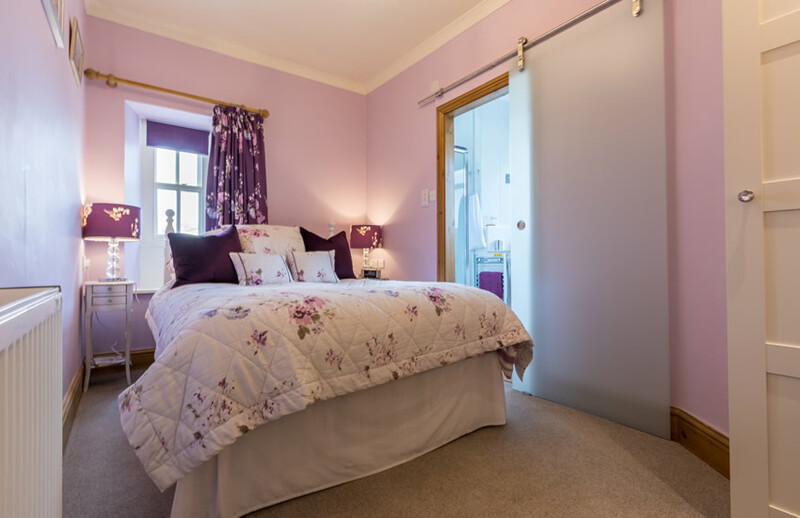 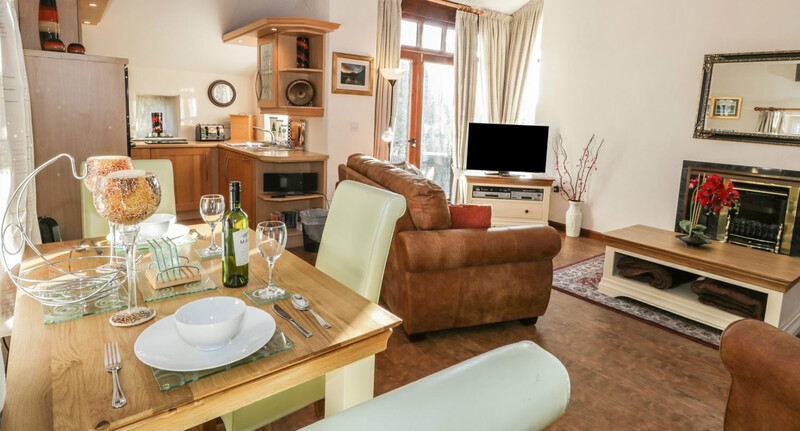 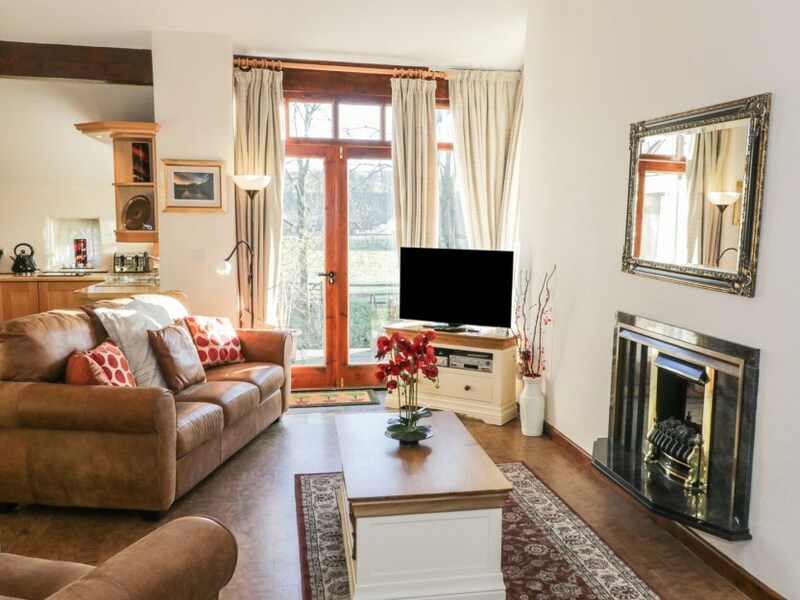 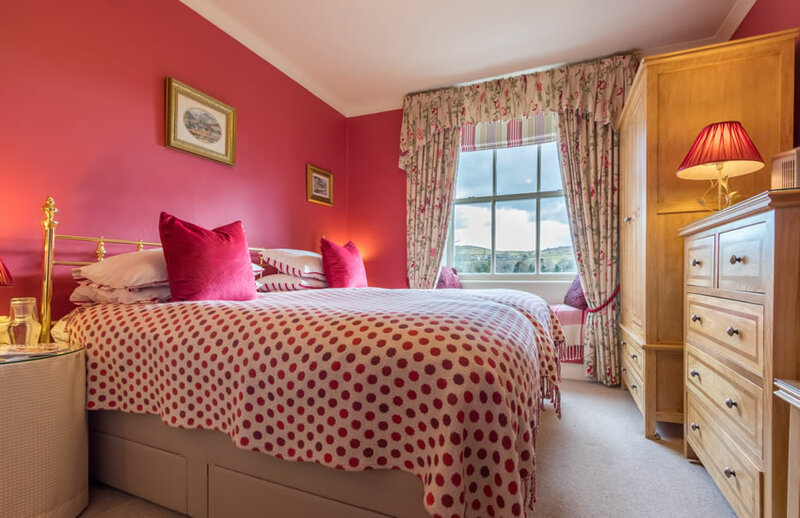 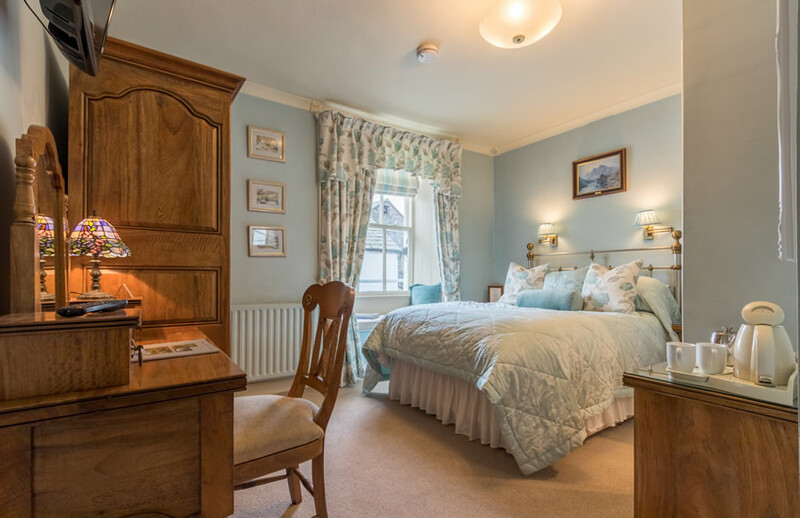 Guests can enjoy a five-minute stroll, which leads to the award-winning Watermill Inn and the bustling towns of Windermere and Bowness are within a 10-minute drive where you’ll find a host of shops, cafes and restaurants to enjoy. 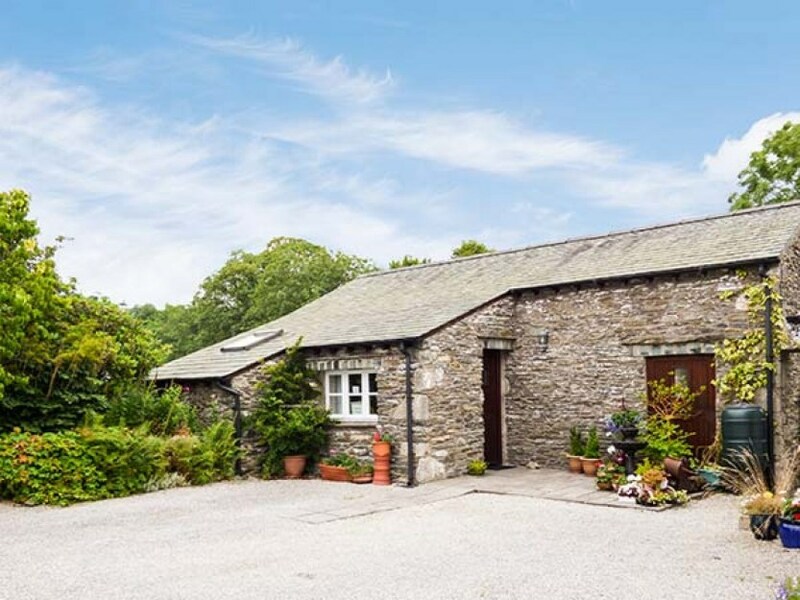 There are beautiful pathways and cycleways to explore running up the Kentmere Valley or a gentle climb up Orrest Head will reward you with beautiful views over Lake Windermere. 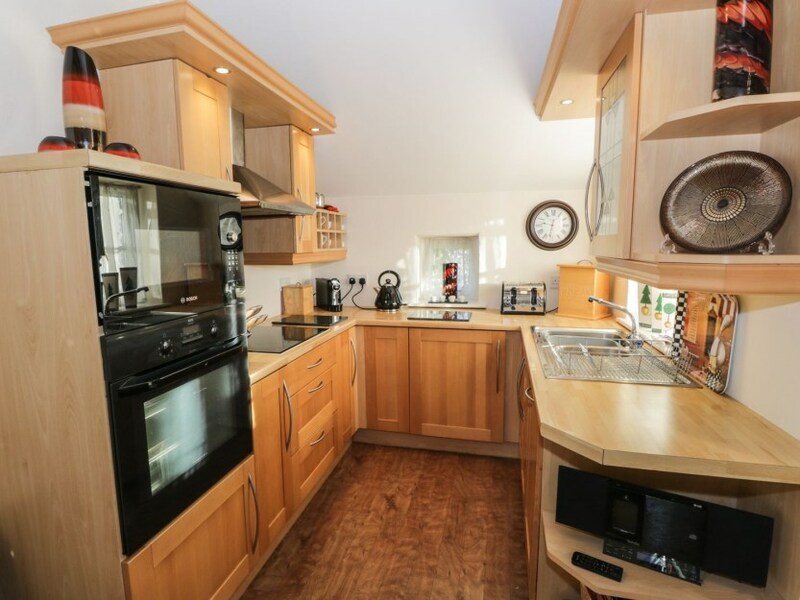 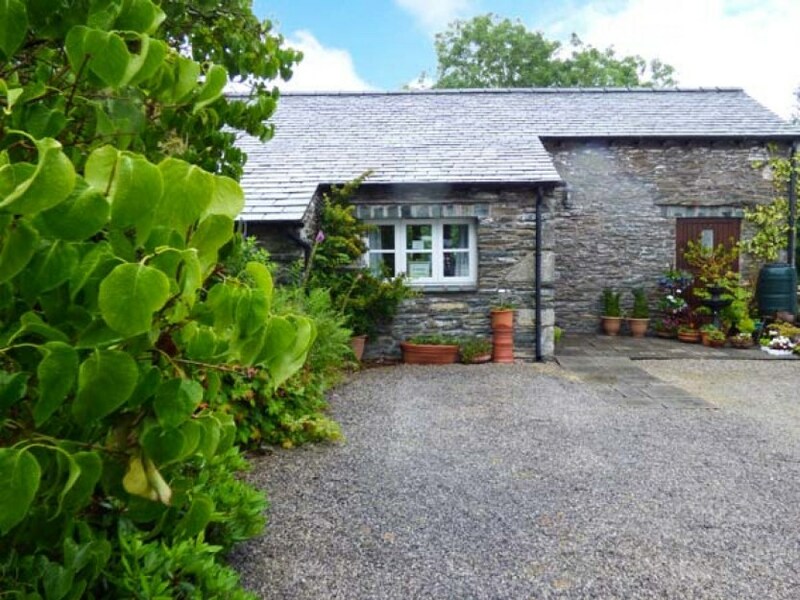 This is a superb cottage, perfect at any time of the year. 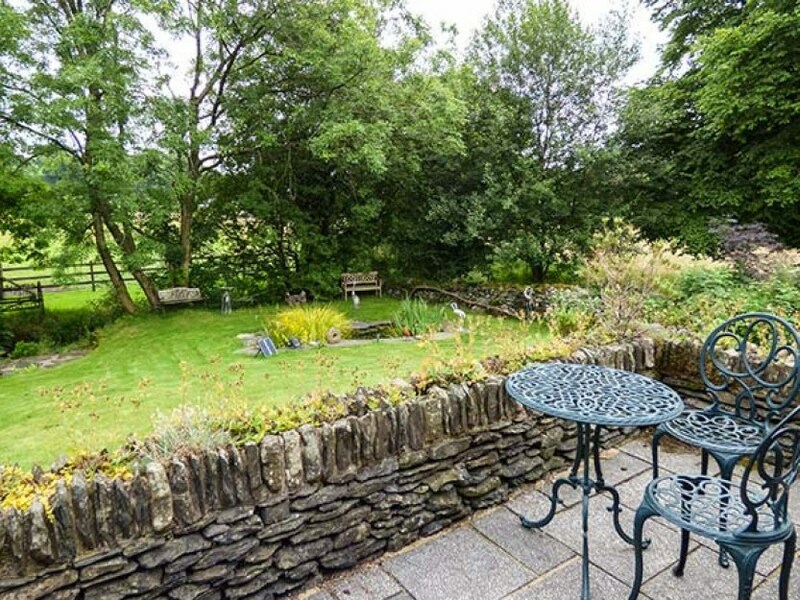 Note: Adjacent to owner’s B&B.